Step up and spin the wheel by simply pulling the handle up and giving it a big push down. 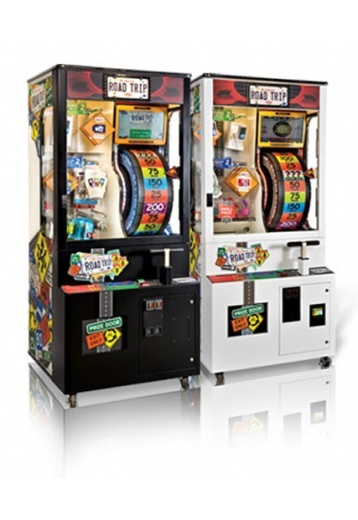 When the wheel stops, players are rewarded with the mileage shown on the wheel. Scoring enough miles at Level 1 gives the players a choice to select a Small Prize or play on to Level 2 for the chance to win a Medium Prize. Win Level 2 and choose again, take the Medium Prize or play on to Level 3 where a player can win a desired Large Prize.